BELGRADE (Serbia), December 26 (SeeNews) - Oil and gas company NIS [BEL:NIIS] generated the highest turnover and led the blue-chip gainers' list on the Belgrade Stock Exchange on Wednesday, as share indices ended mixed, bourse data showed. A total of 6,811 of NIS' shares changed hands, generating a turnover of 4.7 million dinars. The company closed flat at 687 dinars. Civil engineering group Energoprojekt [BEL:ENHL] led the blue-chip gainers' list, as its share price rose 11.33% to 668 dinars. 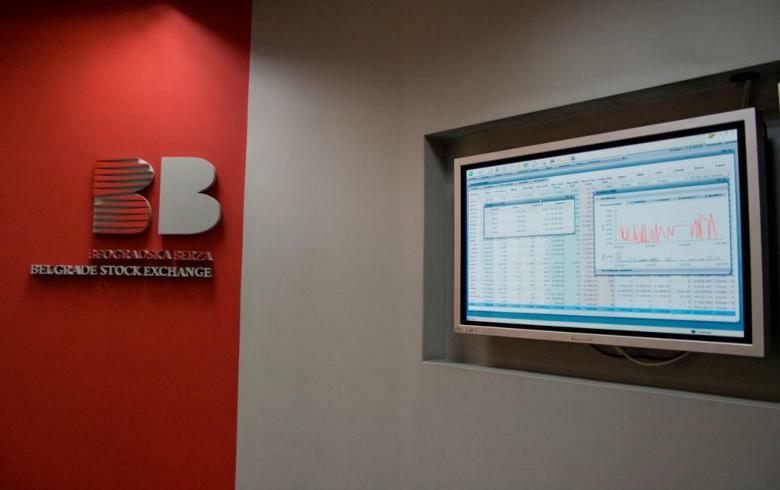 The BELEX15 index, which tracks the most liquid shares on the Belgrade bourse, went down 0.54% to 759.73 points on Wednesday. The index rose 1.41% on Tuesday. The broader BELEXline, a free‐float market capitalisation weighted index, closed up 0.02% at 1,578.32 points on Wednesday, after growing 0.73% on Tuesday. Lender Komercijalna banka [BEL:KMBN] paced the blue-chip decliners, as its share price fell 2.18% to 2,109 dinars. The total stock trading turnover on the bourse increased to 89.6 million dinars ($864,500/759,000 euro) on Wednesday from 51 million dinars on Tuesday, as 157 share transactions were carried out. Trading on the multilateral trading facility (MTP) of the bourse came in at 83.3 million dinars. Trading in Treasury bonds contributed 230.7 million dinars to the total turnover of 320.3 million dinars on the stock exchange.